*The following list is in alphabetical order and has been updated on October 20, 2018. The biographies and photos were approved by the performers for social media purposes. Kelly Austermann is an active music educator, performing clarinetist, and scholar in the St. Louis area. She has performed with the St. Louis Philharmonic Orchestra, the Hot Springs Festival Orchestra, the Gateway Festival Orchestra, the Fountain Hills Chamber Players, Casella Sinfonietta, the Saint Louis Wind Symphony, the Vintage Brass Band, El Monstero, and the Lettermen. She can be heard in solo clarinet passages on the Grammy-nominated CD, Fireworks! released under the Equilibrium label and on In This Hid Clearing released under the Naxos label. Kelly is professor of clarinet, saxophone, and music appreciation at East Central College and St. Louis Community College. She is also the clarinet instructor for the band programs of the Mehlville, Fox, and Parkway West school districts where she teaches private lessons, coaches chamber music, and provides sectional instruction. She maintains a private clarinet and saxophone studio as well. Many of her students have received superior ratings at performance competitions and have earned seats in honors ensembles. Kelly’s research interests are pedagogically oriented. Her dissertation, “A Supplemental Repertoire List for the Development of Fundamental Skills in Pre-Collegiate Clarinetists” identifies repertoire that allows students to concurrently refine fundamental skills while preparing a piece for performance. She received her Bachelors of Music from the University of Missouri-Columbia, her Masters of Music from the University of North Carolina-Greensboro, and her Doctor of Musical Arts from Arizona State University. Gabrielle Baffoni is Associate Professor of Single Reeds at Southeast Missouri State University, where she has been on faculty since her appointment in 2012. She previously held teaching positions at Tabor College, the University of Missouri-Kansas City (UMKC) Conservatory of Music and Dance, and the Frost School of Music at the University of Miami. Dr. Baffoni earned her Doctor of Musical Arts in Clarinet Performance from the UMKC Conservatory of Music and Dance where her final doctoral project was a lecture-recital presenting works for clarinet and percussion duo. With a passion for chamber music, Dr. Baffoni has performed with several chamber ensembles over the last fifteen years, including the Liberace Winds Graduate Fellowship Wind Quintet at UMKC. 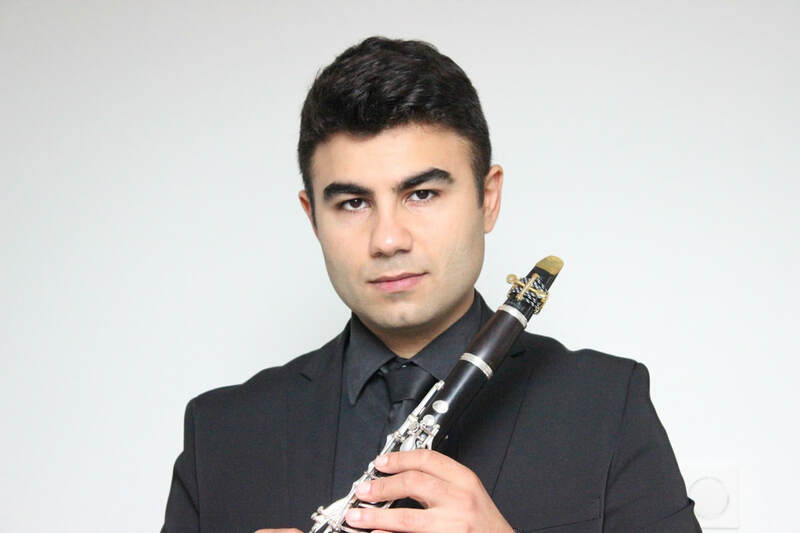 As a clarinetist, Dr. Baffoni has performed with various ensembles throughout the United States and has appeared as a soloist with ensembles at the University of New Hampshire, UMKC, Bethel College, and Southeast Missouri State University. At Southeast Dr. Baffoni directs Chamber Music Sundays at Three, a concert series that features faculty and guest chamber ensembles at the University’s River Campus. Babette Belter enjoys an active music career as a solo, chamber, and orchestral musician, performing in Asia, Central America, Europe, Israel, Canada and the United States. She served as principal clarinet with Signature Symphony where she appeared as a soloist performing the Weber Concertino, Bernstein Prelude, Fugue and Riffs, and Rossini Introduction, Theme and Variations, and she has performed the Copland Concerto with the Guatemala National Symphony Orchestra. Professor Belter has created outreach programs for students at home and abroad. Ms. Belter served as an American Cultural Specialist in Costa Rica through the United States Information Agency. She traveled to Israel through the Rothchild Foundation to present clarinet master classes in Zichron Ya’akov. She is the program coordinator for the OSU Italian study abroad program, and has also presented a series of educational recitals in Japan. Professor Belter received the Wise-Diggs-Berry Award for outstanding teaching, and in 2008 she was named the Distinguished Music Professor. Betty Bley is a Vandoren Regional Artist and performs with The Pro Arté Chamber Orchestra of Greater Washington, The Washington Sinfonietta, The Loudoun Symphony, and The Virginia Grand Military Band. She maintains a large private studio and works throughout Northern Virginia as an adjudicator, clinician, master class instructor, clarinet sectional coach, and freelance musician. Ms. Bley’s students are routinely selected as principal players in local youth orchestras, youth wind programs, All-District Bands, Senior Regional Orchestras, and the Virginia All-State Bands and Orchestras on all types of clarinet. During the past two years, four of her students were accepted to the NAfME All-National Honor Band, three of her students were accepted to the Music For All Honor Band of America, eleven of her students were accepted to the Virginia All-State Bands and Orchestra, and one of her students was the Woodwind Division Winner in the nation-wide SmartMusic Bumblebee Competition. Dr. Wade Howles is currently the Director of Bands at Lakeview Community Schools (Columbus, NE) and a freelance jazz and classical saxophonist throughout Nebraska and the surrounding region. He has previously held positions at Doane University and the University of Nebraska-Lincoln. Dr. Howles graduated from Northwest Missouri State University with a Bachelor of Science in Education (2008) before pursuing Master of Music (2010) and Doctor of Musical Arts (2017) degrees at the University of Nebraska-Lincoln, where he studied under the guidance of acclaimed saxophonist Dr. Paul Haar. Dr. Howles’ dissertation focuses on the use of jazz elements in Don Freund’s Sky Scrapings for alto saxophone and piano. Dr. Howles has performed internationally and regularly performs with groups such as the Omaha and Lincoln Symphonies, Northeast Area Jazz Ensemble. He is a founding member and current tenor saxophonist of TCBSQ, a new saxophone quartet that uses their blend of resonant tone and virtuosic technique to bring new appreciation to the saxophone. In 2011 Howles won a Downbeat award as a member of the University of Nebraska-Lincoln Jazz Orchestra. Howles has also presented research and performances at conferences of the North American Saxophone Alliance and U.S. Navy Band Saxophone Symposiums. Dr. Bob Fuson is a Kentucky born, Maryland raised saxophonist and composer. He is the foremost authority on the life and works of the late Dave Matthews Band saxophonist LeRoi Moore, and specializes in the research of saxophonists playing left of center. He performs regularly with ensembles in both the jazz and classical idioms and as a solo artist. Dr. Fuson has experience ranging from orchestras to small jazz groups (and everything in between). He is the baritone saxophonist in the “unusually resonant” saxophone quartet TCBSQ. Dr. Fuson teaches woodwinds and ear training at Hastings College, where he also coaches the Hastings College Saxophone Quartet. He received a DMA in Jazz Studies and an MM in Saxophone Performance from the University of Nebraska-Lincoln, and a Bachelors of Science from the University of the Cumberlands. His primary teachers include Paul Haar, Eric Richards, David Threlkeld, Howard Burns, and as a grant recipient has studied with renowned saxophonist Jeff Coffin. Dr. Timothy Bonenfant is Associate Professor of Single Reeds at Angelo State University, where he also directs the ASU Jazz Ensemble and teaches Survey of Rock and Roll. He is a member of The Mesquite Trio, The Batik Quartet and the West Texas Jazz Orchestra. He holds three degrees from UNLV and a master’s degree from CalArts. With multiple recording credits, Bonenfant’s recently released solo album, Multiple Personae, features music by Virko Baley. It uses seven different members of the clarinet family. He also has premiered over thirty works, many written especially for him, including Virko Baley's Partita No. 4 for clarinets (bass, A, Eb and Bb contrabass) and piano, and Stephen Emmons’ Seaside. ​A former member of the Nevada Symphony Orchestra and the Las Vegas Philharmonic. Bonenfant’s ensemble credits also include the Houston Symphony Orchestra, Abilene Philharmonic, San Angelo Symphony Orchestra, Boise Symphony Orchestra, Nevada Opera Theater, and various groups on the Las Vegas Strip. Timothy Bonenfant has developed an international reputation as an extremely versatile clarinetist. He has performed at multiple International Clarinet Association ClarinetFests, at the Society for Electro-Acoustic Music in the United States National Conference, at the International Double Reed Society Conference, and presented performances and panel sessions at the National Association for College Wind and Percussion Instructors Conference. Bonenfant has performed in the United States, Japan, Italy, Scotland, Portugal and Spain. His major teachers include Alberto Asercion, Felix Viscuglia, William Powell, Raphael Sanders, Marina Sturm and Michele Zukovsky. ​Martha Saywell currently teaches at Texas A&M University – San Antonio where she is also designing the institution’s first music program. She has formerly served on the piano faculty of A Step Above Dance and Music Academy in Wisconsin, the University of Texas – Pan American, Laredo Community College, Angelo State University, and Texas A&M International University. She holds a Bachelor of Arts degree in keyboard studies from Murray State University, along with Master of Music and Doctor of Musical Arts degrees, both in collaborative piano from the University of Wisconsin. Dr. Saywell’s musical endeavors have led her all over the United States and a handful of European countries. She has performed hundreds of concerts, both solo and collaborative, and has had the privilege of working with many internationally acclaimed artists including Alexa Still, Andrew Garland, Charles Abramovich, Maurice Hinson, and Warren Jones. Current collaborations are with various members of the San Antonio Symphony, soprano Catherine Nix, and clarinetist Timothy Bonenfant. In addition to her performance schedule and university obligations, she maintains a small, private studio of piano and voice students. Dr. Saywell is a member of the College Music Society, American College of Musicians/National Guild of Piano Teachers, International Alliance for Women in Music, Texas Music Teachers Association, Music Teachers National Association, and the Board of Governors for the Laredo International Piano Competition. Dr. Steve Carmichael is a Selmer Paris Saxophone Performing Artist and Marca Reeds Endorsing Artist residing in McLean, Virginia. At home in multiple music scenarios, Steve performs at ease in classical, jazz, and commercial musical idioms. An active supporter of new music, Dr. Carmichael has many works commissioned and dedicated to him by composers such as Stacy Garrop, Alan Theisen, Mark Oliviero, Matthew Browne, Nathan Froebe, and Anne McAninch. 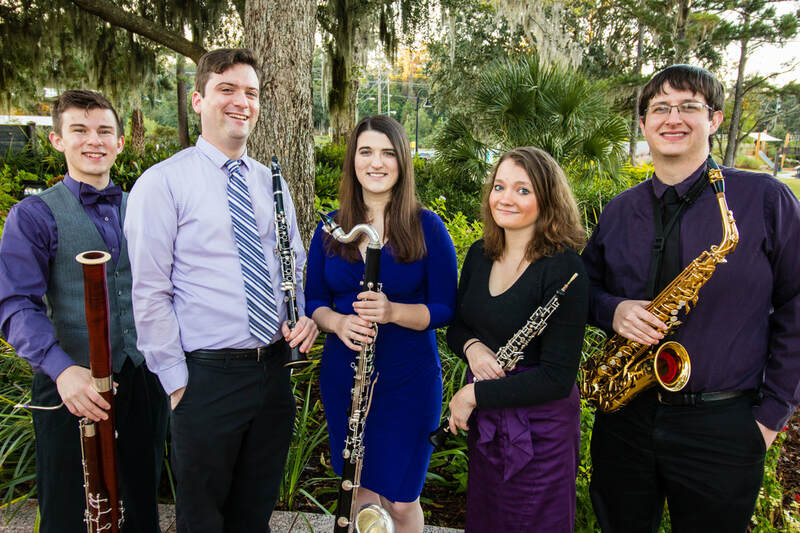 Established in 2017 at the Florida State University College of Music, the Civitasolis Reed Quintet is dedicated to engaging, interactive concert experiences. The quintet takes pride in delivering engaging performances through creative programming and compelling stage presence. The diversity of timbre of each instrument is integral to the quintet, which presents music from a wide range of genres that is well informed by all periods of classical music as well as jazz, metal, Latin American music, and other genres. Each member of the quintet is dedicated to high-intensity and high-level performance on their own instruments as well as in the chamber setting, and several members have distinguished themselves as soloists as well as unique chamber musicians. Education, new music, and giving back to the community are central to the core mission of the Civitasolis Quintet, who have established their own composition competition and are in the process of developing a unique set of children's concerts. The Commonwealth Clarinets was founded by Cathy A Ogram, partially to get to play chamber music with the excellent Instructors from the Armed Forces School of Music, and partially to have a group of excellent players to try out new arrangements and concepts for clarinet quartet. All members are military clarinetists. 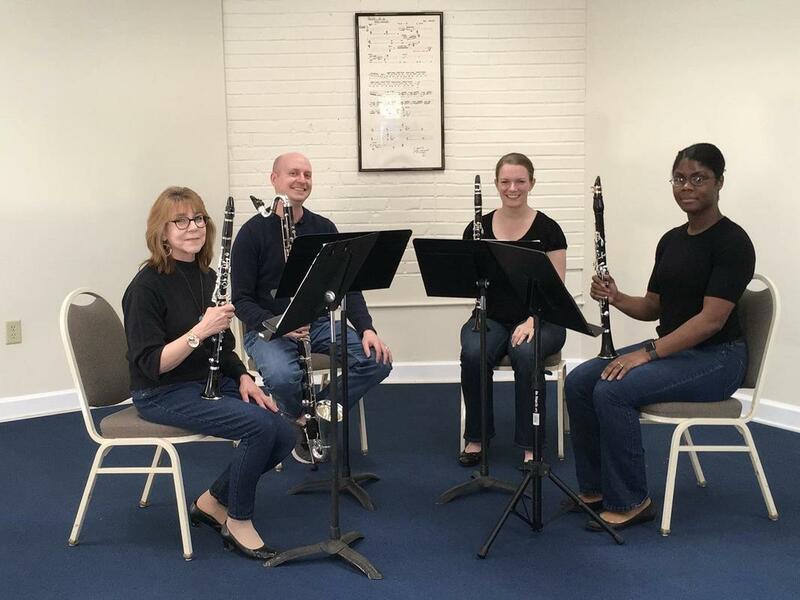 Although we perform traditional Clarinet Quartet Music, we will be performing 2 new arrangement for the Missouri Single Reed Summit, in addition to standard repertoire. Cathy A Ogram is a retired clarinetist from U.S. Army Field, in Washington D.C. After leaving the military, Cathy was the Music Director for Hargrave Military Academy and Principal Clarinet with the Danville Symphony. Currently Cathy teaches for the Governor’s School for the Arts in Norfolk and is an active performer in the Hampton Roads area. Mardia Timoney is the Marine Clarinet Instructor for the Armed Forces School of Music. Mardia holds a performance degree from Oklahoma State University and has performed all over Asia as a Marine Clarinetist. Mardia continues to freelance in the Hampton Roads area. Charlie Brokovich is the Army Clarinet Instructor at the Armed forces School of Music. Charlie holds degrees from the University of South Carolina, Cincinnati College-Conservatory of Music, and performs around the Hampton Roads area. The Cross Continental Clarinet Trio (C3) is rapidly emerging as one of the most respected clarinet trios in the United States of America. Each member of C3 is an accomplished and experienced artist teacher. Members of the group, Spencer Prewitt, Jeffrey O'Flynn and Christopher Nichols, hold faculty appointments at universities across the country at Austin Peay State University, Utah Valley University and the University of Delaware, respectively. C3’s 2018-2019 calendar includes performances at events such as the American Single Reed Summit, Utah Clarinet Festival and Delaware Clarinet Day. The ensemble's mission is to increase exposure of young clarinetists to literature for the clarinet trio throughout history and to expand the repertoire for this medium through the commissioning of living composers. Clarinetist Vanessa Davis is a thoughtful and creative musician. She fuses her work as a performer and teacher by exploring composer meaning in performance and sharing her experiences with audiences through solo, chamber, and ensemble projects while maintaining a thriving private studio. Currently she teaches at both middle and high schools in the Dallas-Fort Worth Metroplex area of North Texas. She has performed and taught in Massachusetts, New Hampshire, and New York. Davis currently performs with the North Texas Wind Symphony and has performed at the Meyerson Symphony Center, the Portsmouth Music Hall, Symphony Hall in Boston, and Proctors Performing Arts Center. She has performed with the Lone Star Wind Orchestra, Orchestra of the Southern Finger Lakes, the Boston Civic Symphony, Reading Massachusetts Symphony, Cambridge Symphony, Mercury Orchestra, the Metropolitan Wind Symphony of Boston. She has performed numerous conferences both in the United States and internationally including NACWPI, the Texas Clarinet Colloquium, the Midwest Clinic, and the International Clarinet Association. She is currently a third Doctoral student at the University of North Texas where she is a Teaching Fellow and studies with Dr. Kimberly Cole Luevano. She will graduate in May 2018. Former teachers include, Richard MacDowell, Richard Faria, and David Seiler. Originally from Ozark, Missouri, Sam received his Bachelor of Music Education from Missouri State University in Springfield, Missouri, where he studied under Dr. Allison Storochuk. During his time at MSU, he performed as a soloist with the Missouri State University Wind Ensemble and the Missouri State University Orchestra, performed with the Springfield Regional Opera, and was sought after as a clinician for area schools. Upon his completion of his education degree, Sam started his Master of Music in clarinet performance at the University of North Texas, where he studied under Dr. Kimberly Cole Luevano. 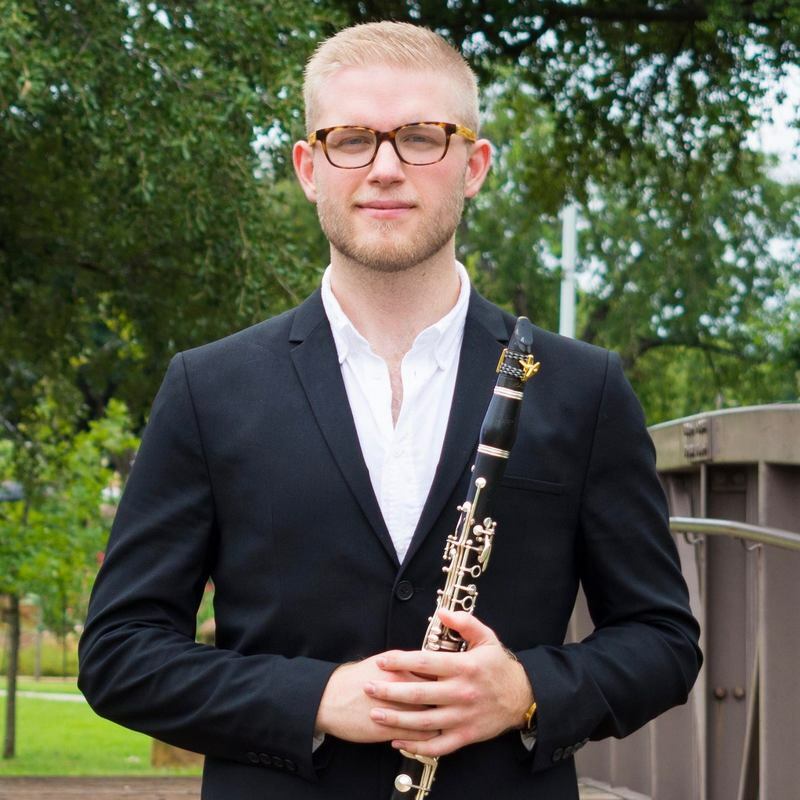 During his time at UNT, he performed with the UNT Wind Symphony, Symphony Orchestra, was a finalist in the UNT Concerto Competition, and was a semifinalist for the International Clarinetist Association Young Artist Competition, where he competed in Orlando (2017) and Ostend, Belgium (2018). Sam teaches private clarinet lessons throughout DFW, and performs with his woodwind quintet, 35 Split. When he’s not teaching or playing the clarinet, Sam gets bossed around by his cat, Louie. ​As members of Dionysus, a modern reinvention of the piano trio, Alastair Wright and Dylan Ward also perform together as a duo. Dionysus has toured throughout the United States and abroad, concertizing and presenting master classes at top schools and universities. In 2015, Dionysus performed at the Lincoln Center for Education, NY in collaboration with actor Andrew Manning, and saw success in several national and international chamber music competitions. In 2016-2017, they were selected as a resident ensemble at the Avaloch Farm Music Institute, and performed at venues throughout Arizona and Missouri. More at triodionysus.com. "Sarah Dunbar is an active woodwind performer, educator, and clinician in the Dallas-Fort Worth area. 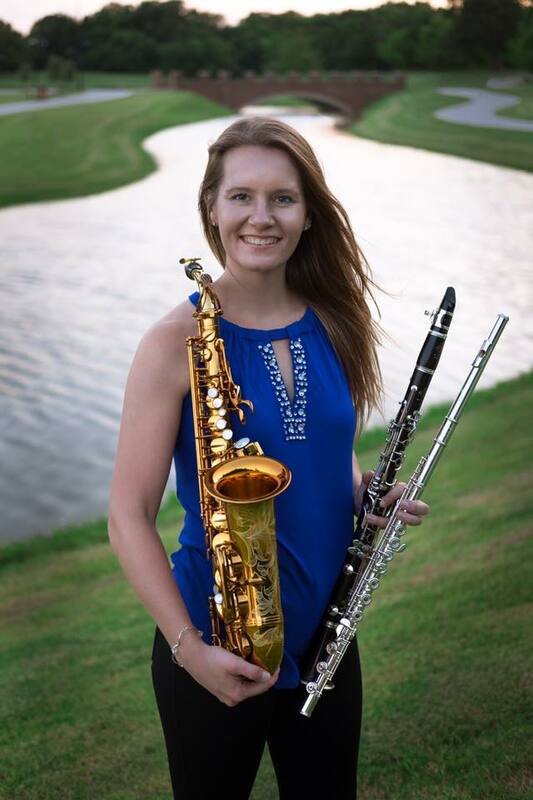 As a saxophone teaching fellow at the University of North Texas, she is concurrently pursuing a DMA in Multiple Woodwind Performance and a Ph.D. in Performing Arts Health. Sarah holds a Master's Degree in Multiple Woodwind Performance with a related field in Music Education, and a dual Bachelor's Degree in Jazz Studies and Classical Saxophone Performance. SLAVKO KOVAČIČ studied at the Academy of Music in Ljubljana (Slovenia) in the class of Prof. Mihael Gunzek and Prof. Alojz Zupan and at the University of Music Mozarteum in Salzburg (Austria) with Prof. Alois Brandhofer. He participated in masterclasses and workshops by Charles Neidich, Alois Brandhofer, Joszef Balogh, Bob Riseling and Robert Spring. As a soloist he appeared with numerous orchestras, such as the Musica Camerata chamber orchestra, the Celje String Orchestra, the Academic Chamber Orchestra of Music Artists Society Maribor, the Celje Wind Orchestra, the big band "Extra Band" Celje and others. He was involved in many first performances of solo and chamber music works by Slovenian and foreign composers and is a welcome guests at numerous international music festivals. He is often invited as a guest teacher for master-classes and workshops. In 2015 he gave a master-class at the Italian Clarinet University in Camerino (Italy) in 2017 he gave a master-class at the ''The Dream Clarinet Academy, International Clarinet Summer Camp'' in Baoding, China. In recent years he performed at the World Clarinet Conference ICA ‘’Clarinetfest 2013’’ in Assisi (Italy), at the 4th European Clarinet Congress 2014 in Katowice (Poland) at the 5th European Clarinet Festival 2015 in Ghent (Belgium), at the 6th European Clarinet Festival 2016 in Camerino (Italy), at a prestigious international festival Clar.Meet.Porto'16 in Portugal and again he was invited as a representative of Eastern Europe on ''The Dream Clarinet Academy, International Clarinet Summer Camp'' in Baoding, China. He served in various positions in the Pannonian Orchestra in Graz and in the Orchestra of Academia Ars Musicae (both in Austria), as well as Slovenian symphony orchestras: the Maribor Opera, the Ljubljana Opera, the Maribor Philharmonic, the RTV Slovenian Radio Symphony Orchestra and the Slovenian Philharmonic Orchestra, with which he held a permanent employment. His strong commitment to chamber music led him ot be a member of many ensembles, such as Trio Musica Camerata, Arc-en-ciel ensemble, Trio Onix, Maister Trio, Trio Tanguango, PanArs Clarinet Sextet and Spiri Art Trio. He is a regular member of juries both in national and international competitions. Since 2015 he has been a Silverstein Works Artist using the Cryo4 Gold Ligature. He is also a D'Addario Woodwind Performing Artist and a Royal Musical Collection Artist. Slavko Kovačič is Associate Professor for clarinet and chamber music at the Faculty of Education, University of Maribor, where he was Head of the Music Department from 2010 to 2015. Since 2014 he is also a member of the Faculty Senate. In 2015 he was elected vice-dean for artistic activities. He dedicates part of his time to teaching clarinet at the elementary and high school level of the Music School in Celje. Guitarist Žarko Ignjatović graduated from the Academy of Music in Zagreb (Croatia) under prof. Darko Petrinjak in 1983 and from the Hochschule für Musik und darstellende Kunst in Graz (Austria) in the class of prof. Marga Bäuml-Klasinc in 1987. He completed his postgraduate studies at the Salzburg Mozarteum under prof. Eliot Fisk in 1995. He attended numerous master classes all around the world (held by Julian Bream, John Williams, Assad Brothers, etc.) and won many prizes at national competitions. He has been living in Ljubljana since 1984 and teaches at the Faculty of Education in Maribor (Slovenia). As a performer, Ignjatović is active both as a soloist as well as a member of various chamber groups. His first solo recording with compositions by Weiss, Piazzolla, Tippett, Bogdanović and Rojko was published in 1998, and the second one, Hic et Nunc, with contemporary Slovene music in 2001. He also appeared on Cveto Kobal’s CD 20th Century Flute Music, published in 2003. Together with Jerko Novak, they released two recordings of guitar duos in December 2005 and 2013, with cellist Nebojša Bugarski a CD Southwest Meets Southeast in December 2010. Many years is active as jury member on national and international guitar competitions (TEMSIG, Slovenia, Guitar art festival, Beograd, Serbia, Distant chords, Split, Croatia, Mörski festival, Murska Sobota, Slovenia, Sarajevo International Guitar Festival, Bosnia and Herzegovina, Moscow International Festival of Slavic Music, Russia). He has performed with clarinetist Slavko Kovačič since 2010. Duo Corcra, consisting of Genevieve Beaulieu, bassoon, and J. Adam Briggs, saxophone, was formed in 2014. They have performed at conferences and festivals on the East Coast and throughout the Midwest including the U.S. Navy Band International Saxophone Symposium, several North American Saxophone Alliance conferences, the Grand Rapids Festival of the Arts, and the Taneycomo Music Festival. Both members serve on faculty at Hope College. Saxophonist J. Adam Briggs is currently serving as Instructor of Saxophone and Executive Director of the Musical Arts Academy at Hope College while remaining active as a classical soloist, chamber musician, and jazz artist. His performance career includes recitals at Illinois State University, Ohio Northern University, several North American Saxophone Alliance conferences along with master classes at Interlochen Arts Camp and Brevard Music Center. His teachers include Paul Nolen, Timothy McAllister, Kelland Thomas, Gary Louie, and Joseph Lulloff, with whom he completed his Doctorate of Musical Arts in Performance. In addition to teaching at Blue Lake Fine Arts Camp, he spends his summers performing at the Taneycomo Music Festival with his wife and Duo Corcra partner, bassoonist Genevieve Beaulieu. His solo debut recording Transcension is on the Blue Griffin label. Dr. Genevieve Beaulieu is currently serving as Instructor of Bassoon at Hope College in Holland, Michigan, where she also instructs a Music History class for adults. Genevieve is principal bassoonist of Midland (MI) Symphony Orchestra, second bassoonist of Traverse Symphony Orchestra, and frequently performs with the Grand Rapids, West Michigan, Lansing, and Holland symphonies. In addition to orchestral performing, Genevieve is a member of the Kalamazoo Symphony Orchestra Woodwind Quintet, a group that performs educational programs at local Kalamazoo schools, Grand Rapids-based trio ma non troppo, and Duo Corcra, a bassoon/saxophone duo with husband Adam Briggs. Since 2012, Genevieve has been an Artist-in-Residence at the Taneycomo Festival Orchestra, located in Branson, MO. Genevieve graduated with her Master's and Doctorate from Michigan State University and from Ohio State University with her Bachelor's. She currently lives in Holland, Michigan with her husband, Adam, and Shih-tzu, Winnie. Victor Myles Drescher joined the faculty at Southeastern Louisiana University in 2013 as Instructor of Clarinet and Assistant Director of Bands. Prior to this appointment he served for five years as Assistant Director of Bands at East Ascension High School in Gonzales, LA. In 2011, Drescher was honored by LMEA with their Outstanding Young Music Teacher Award, and he currently serves as their University-Research chair. He holds Bachelor’s degrees in Music Performance and Music Education and a Master of Music degree from Louisiana State University. Drescher has also completed postgraduate work at the University of North Texas. His primary clarinet instructors were Steven Cohen, Dr. James Gillespie, Justin O’Dell, Ronald DeKant, and Dr. Mary Druhan. Mr. Drescher is an active clinician and performing artist for Backun Musical Services and has performed as a soloist at venues as wide ranging as the Meyerson Center in Dallas, Carnegie Hall, and the House of Blues in New Orleans. He performed in recital at the 2014 International Clarinet Association’s ClarinetFest and regularly performs as a featured soloist with the Louisiana Sinfonietta, the Southeastern Wind Symphony, Symphonic Band, and Symphony Orchestras. Drescher has served as the principal clarinetist with Opera Louisiane and the Louisiana Sinfonietta since 2007 and performs with the Baton Rouge Symphony, Acadiana Symphony and Gulf Coast Symphony Orchestras. He is also a champion of new music premiering multiple works every year including collaborations and commissions with local composers. His playing can be heard on the Centaur record label performing works by composer Dinos Constantinides. A single reed duo from Kennesaw State University in Georgia, the Firetruck Duo is composed of Matthew Hodgetts and Jonathan Steltzer who both are pursuing a Bachelor’s degree in Music Education. The duo have played multiple recitals in Atlanta and earned an honorable mention at the International Woodwind Duo Symposium. Additionally, the duo have commissioned numerous pieces for the duo medium and currently one with wind band accompaniment. Matthew Hodgetts and Jonathan Steltzer have been winner of the KSU Concerto Competition, Ronald Sachs International Music Competition, presented at the National Conference for Undergraduate research and serve as assistants for the KSU Wind Ensemble, Youth Band of Atlanta and the Atlanta Youth Wind Symphony. Matthew Hodgetts is currently a clarinetist and music education major at Kennesaw State University. Matthew studies clarinet with Professor John Warren and is an active performer who has played with groups such as the Georgia Symphony Orchestra, Georgia Philharmonic, Ludwig Symphony Orchestra, “Pershing’s Own” United States Army Band, Emory University Wind Ensemble, and many more. In addition to performing, Matthew is also an active teacher who works as a teaching intern for Conn Selmer’s Youth Bands of Atlanta, and works as the Manager of the Atlanta Youth Wind Symphony. Matthew was also a winner of the Kennesaw State University Concerto Competition, and has been awarded Honorable Mention at the International Woodwind Duo Symposium at Sam Houston State University. Saxophonist Jonathan Steltzer is currently pursuing a Bachelor's degree in Music Education at Kenessaw State University under the study of Sam Skelton. Jonathan performs with ensembles including the Atlanta Wind Symphony, the World Youth Wind Orchestra in Austria, KSU Wind Ensemble, Jazz Ensemble, Fire Truck Duo (Clarinet and Saxophone) and the Lawless Duo (Percussion and Saxophone). He was the winner of the KSU Concerto Competition performing John Mackey’s Soprano Sax Concerto, an Honorary Mention at the International Woodwind Duo Symposium, finalist for the Great Composers Competition Series, and a winner of the Ronald Sachs International Music Competition. Additionally, Jonathan has presented his research as a lecture recital on,“The Art of the Eyebrow: The Impact of Simon Steen-Andersen’s theatrics in music,” at the 2018 National Conference for Undergraduate Research. He is an advocate for new and world music and keeps an active studio in the Metro Atlanta area. Kip Franklin is the Assistant Professor of Clarinet at the University of South Alabama. A native of Michigan, Dr. Franklin has performed in concerts with the Saginaw, Midland, Jackson, Dearborn, and Toledo symphonies, as well as in festivals throughout the United States and in Europe. He has presented and performed at the International Clarinet Association Conventions in Louisiana, Ohio, Alabama, Florida, and will be a featured performer at ClarinetFest 2018 in Ostend, Belgium. As a guest clinician, he has presented master classes at numerous high schools and universities across the country. His clarinet teachers include Caroline Hartig, Kennen White, Theodore Oien, and Guy Yehuda. 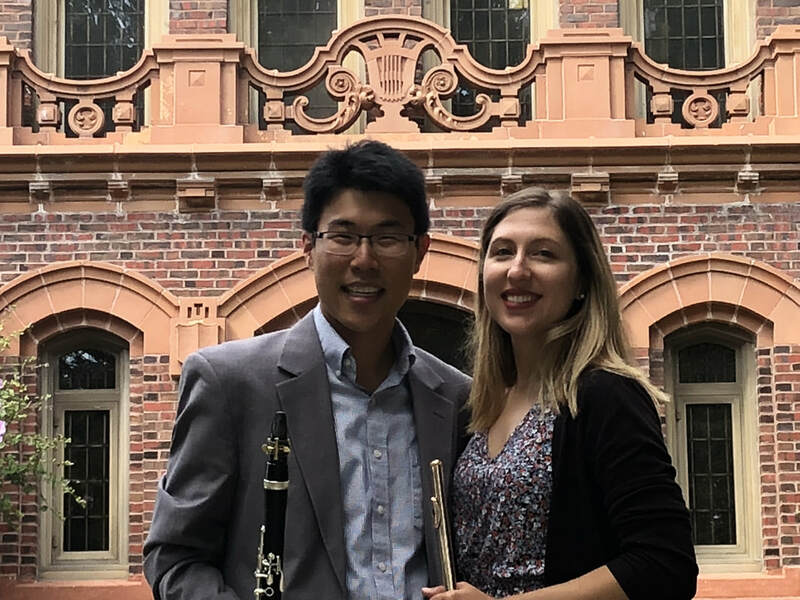 Jesse Gilday and Claire Grellier formed the Frost Duo as doctoral colleagues at the University of Miami – Frost School of Music to contribute to the repertoire for clarinet-bass clarinet duo. The Frost Duo also performed a program of premieres at the 2018 CMS-NACWPI conference. Jesse is instructor of clarinet at the Florida International University School of Music and in the final year of his DMA at the University of Miami – Frost School of Music. In South Florida, Jesse is an active orchestral, chamber, and electroacoustic musician and enjoys teaching with Miami Music Project, an El Sistema-inspired organization. ​Claire received a “First Prize” in performance from the Nice Conservatory prior to her studies at California State University – Fullerton. Pursing her DMA at the Frost School, she is the clarinet teaching assistant and a Henry Mancini Institute fellow. Claire is a founding member of the popular Los Angeles quartet, Four Play Clarinet. Joshua Gardner is Clinical Associate Professor of Music and Director of the Performance Physiology Research Laboratory at Arizona State University, where he has taught since 2011. He performs regularly with several ensembles, including the internationally recognized Paradise Winds and Égide Duo. Gardner won first prize at the International Clarinet Association Research Competition in 2008 and has presented lectures on tongue motion during clarinet performance throughout the US, often accompanied by live tongue imaging. As part of the PPR Lab, Gardner often mentors student research initiatives ranging from examining embouchure force dynamics using thin-film force transducers to exploring non-articulatory tongue motion during saxophone performance using ultrasound imaging. Dr. Gardner received Bachelor’s degrees in Music Education and Clarinet Performance from the University of Kentucky and the Doctor of Musical Arts degree from Arizona State University. Gardner is a Henri Selmer Paris/Conn-Selmer Performing Artist playing Privilege clarinets and a Silverstein Pro Team Artist. Dr. Stefanie Harger Gardner currently serves on the faculty at Glendale Community College and has previously served on the faculty at Northern Arizona University and Mesa Community College. She completed degrees in clarinet performance at Arizona State University studying with Robert Spring. Gardner maintains an active performance career, performing with Arizona Opera, the Phoenix Symphony, Égide Duo, Red Rocks Music Festival, and the internationally recognized Paradise Winds. She has performed in conferences for the International Clarinet Association, the International Double Reed Society, the North American Saxophone Alliance, and the International Viola Society. In 2012, Gardner won first prize at the International Clarinet Association Research Competition with her study, “An Investigation of Finger Motion and Hand Posture during Clarinet Performance.” Recently, she was awarded “Outstanding Contributions in Private Teaching” by Arizona State University. Gardner is a Silverstein Pro Team Artist and a Henri Selmer Paris Artist performing on Privilege clarinets. 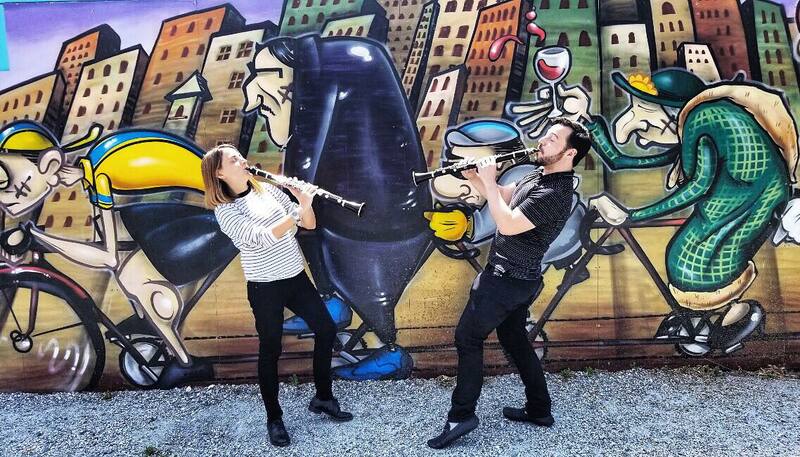 Originally from Michigan and currently based in Illinois, ​the Greyline Duo (Alexandra Rodriguez, flute and David Cook, clarinet) has performed in recitals and outreach performances across the United States. David and Alexandra have been involved in commissioning and premiering several works for their respective instruments, most recently Pierre Jalbert’s Triple Set as part of the Flute Clarinet Duos Consortium. As educators, they have previously taught at various institutions including the University of Oklahoma, Wichita State University, and El Sistema Oklahoma. Current and future activities include commissioning new works for flute and clarinet, as well as a performance at the American Single Reed Summit. 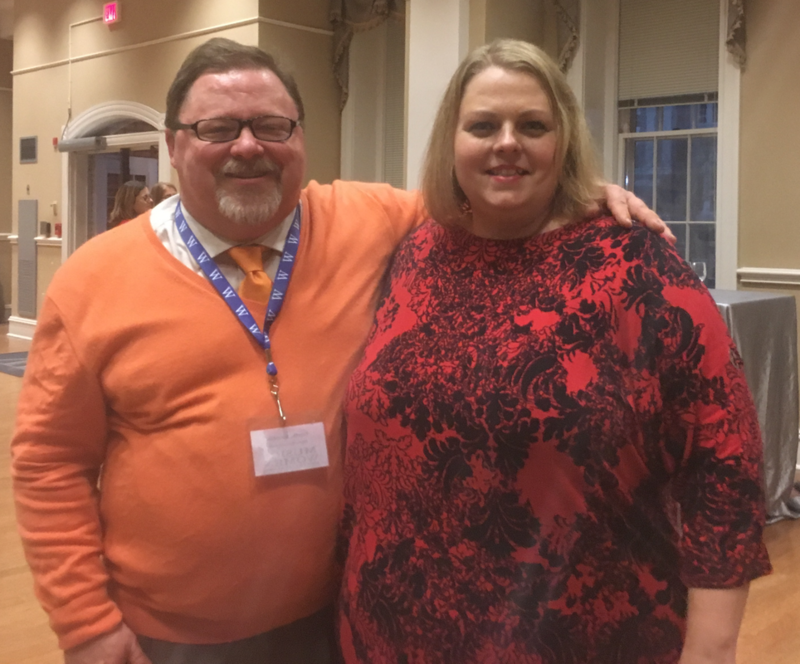 Both currently serve on faculty at Millikin University in Decatur, Illinois. Alexandra Rodriguez is a flutist native to Ann Arbor, Michigan. She has performed with the Ann Arbor Opera Theater, Young People’s Theater, and Ann Arbor Civic Theater. Alexandra was the winner of the 2015 Oklahoma Music Educators Association collegiate competition and has also received honors at the Music Teachers National Association (Oklahoma) Young Artist Competition, Naftzger Young Artists Competition, and graduate concerto competitions at the University of Oklahoma Graduate Concerto Competition. A passionate educator, Alexandra currently serves as an adjunct instructor of music education at Millikin University and coordinates the University ’s music Ppreparatory Ddepartment within the School of Music. She was previously a member of the instrumental faculty at El Sistema Oklahoma, has taught elementary general music in Oklahoma City Public Schools, and has served as a mentor for the Detroit Symphony Orchestra’s Civic Youth Ensembles and the MPulse Summer Flute Institute. Alexandra holds a Master of Music degree in flute performance from the University of Oklahoma. She received Bachelor of Music degrees in flute performance and K-12 music education from the University of Michigan. Her primary teachers include Amy Porter, Seth Morris, and Valerie Watts. Abdul-Aziz Hussein is currently enrolled in studies at Conservatoire à rayonnement régional in Versailles in class of Philippe Cuper. He has graduated at Zagreb music academy in class of doc. Davorin Brozić. He won a total of 7 1st prizes at Croatian national music students competitions; 4 regional and 3 national prizes. In 2010. He was one of nominees to represent Croatia at EBU-UER young musicians competition in Vienna. In 2015 at international competition Woodwind&Brass in Varaždin he won the laureate in the eldest clarinetists’ category. In 2016. he was the winner of 5th edition of competition Papandopulo. He is also winner of multiple honors including: Rector’s award from Zagreb university, Croatian composer’s guild award and multiple scholarship laureates. He held many recitals in Croatia and abroad, most important being Osor musical evenings, Zagreb Biennale and as a soloist alongside HRT symphony orchestra and Croatian armed forces wind orchestra. He worked with eminent world clarinetists such as Guy Deplus, Philippe Cuper, Mate Bekavac, Davor Reba, Nicolas Baldeyrou, Jože Kotar, Radovan Cavallin, Sharon Kam, Nicholas Cox, Chen Halevi, Nikola Srdić, Luis Gomes. Saxophonist Andrew Hutchens currently resides in Columbia, South Carolina where he is a graduate assistant pursuing his Masters of Music in Performance at the University of South Carolina. He is an active performer of solo repertoire, chamber music, and new music for the saxophone. Additionally, is on staff at the Carolina Saxophone Camp, alongside the renowned Assembly Saxophone Quartet. He has performed extensively in both casual and professional venus such as the Asheville Symphony Orchestra, Navy Band Saxophone Symposium, NASA Biennial and Regional Conferences, and the National Conference for Undergraduate Research. Andrew Is consistantly involved in the commissioning and premiering of new music, having worked with composers such as Stacy Garrop, Alan Thesien, Jeff Weston, Ruby Fulton, and Mark Kilstofte. He has participated in masterclasses by promient saxophonist such as Kenneth Tse, Jan Berry Baker, and the Ogni Suono Duo. His principle teachers include Clifford Leaman and Ian Jeffress. Boja Kragulj gives "well-rounded" entirely new meaning. As a performer, she is sought after for intelligent and sensitive interpretations of both the classical canon and contemporary repertoire. She regularly appears in recital and gives masterclasses across the United States and Europe and has performed with the Philadelphia Orchestra and Orpheus Chamber Orchestra. With secondary specialization in music technology, Kragulj combines her pedagogy and performance with tools available to educators and performers in the 21st century. A founding member and clarinetist of the Bold City Contemporary Ensemble, she encourages the use of improvisation and electronics alongside the premiere of new works. As a Fulbright Scholar and Ambassador, Ms. Kragulj breaks boundaries between Western classical traditions and Eastern Folk techniques. She is the first woman to pursue Turkish clarinet practices and has appeared on TRT broadcasts alongside her male peers, both a musical and political first in the Muslim region. Ms. Kragulj descends not from a single lineage of teachers, but rather a broad spectrum of teachers who represent the music industry and clarinet performance as a whole: Mel Warner, John Bruce Yeh , Richard Hawkins, Kenneth Grant, Eric Mandat, Kelly Burke, and Ricardo Morales. Her formal training includes a Doctorate in clarinet performance, a Master's degree in music education, a post-master's certificate in music theory pedagogy, a Master's degree in music technology and production, as well as specialized certificates in postural education and corrective exercise for music performance. Dr. Boja Kragulj can be heard on the Naxos, Navona, and Edition Lilac labels. She is a Backun Artist, performing on MoBa Bb and A Clarinets. Clarinetist Andrew Mahonen is an avid performer around Missouri and Minnesota. Recently, he performed with the Missouri Clarinet Quartet at the International Clarinet Association’s ClarinetFest 2018 in Ostend, Belgium. Previously, Andrew has been a member of the Aurora Winds Quintet and the University of Minnesota, Duluth Student/Faculty Chamber Winds. As an orchestral musician, Andrew has played with the Duluth/Superior Symphony Orchestra (MN), the Lyric Opera of the North (MN), the Missouri Symphony, and the Minnesota Ballet Orchestra. Additionally, Andrew has been a featured soloist numerous times with orchestra, band, and solo recital performances. He holds a Bachelors of Music from the University of Minnesota, Duluth and is currently pursuing his Masters of Music in clarinet performance at the University of Missouri studying under Dr. Wesley Warnhoff. Previously, Andrew has studied under Dr. Theodore Schoen. For more than 35 years, clarinetist/composer Eric Mandat has been at the forefront of clarinet extended techniques explorations, particularly multiphonics, microtones, and timbral modulations. He is recognized worldwide as one of the foremost authorities on clarinet extended techniques. Eric tours regularly as a concert soloist, performing his works throughout the world. He is also a member of the Chicago Symphony's MusicNOW ensemble, and he performs regularly in solo and small group improvisation contexts. Eric’s solo compositions have become staples in the solo repertoire of adventurous clarinetists throughout the world. He has received multiple Illinois Arts Council fellowships for his innovative solo and chamber music works featuring clarinet. Eric is currently Visiting Professor of Clarinet and Distinguished Scholar at Southern Illinois University in Carbondale, where he has taught since 1981. He received the 1999 Southern Illinois University Outstanding Scholar Award, the university’s highest honor for research/creative work. Eric is a Buffet Crampon USA Performing Artist and Clinician. 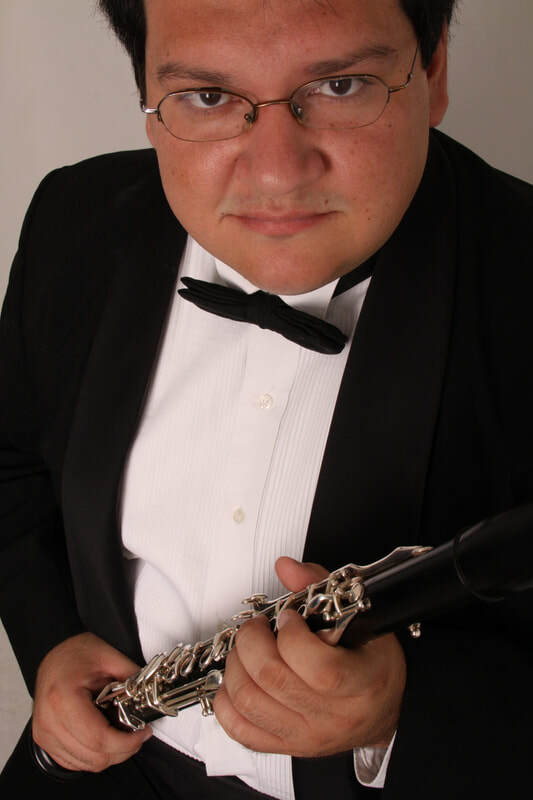 Dr. Osiris J. Molina is Associate Professor of Clarinet and Woodwind Area Coordinator at the University of Alabama. A native of Elizabeth, New Jersey, he has extensive experience as a soloist, chamber and orchestral musician. His professional accomplishments have taken him overseas and across the country. Dr. Molina is currently Principal Clarinet of the Tuscaloosa Symphony Orchestra, Second Clarinet with the Huntsville Symphony and performs regularly with the Alabama, Mobile and Chattanooga symphony clarinet sections, in addition to work with the Grand Rapids, Kalamazoo, Greater Lansing, and Bridgeport (CT) symphony orchestras. Dr. Molina’s chamber work include his membership in the Cavell Trio, a reed trio dedicated to established and emerging works for this unique combination. Cavell has performed a multiple international conferences, including the 2011-2013 and the 2016 International Double Reed Society Conferences and the 2012-2016 International Clarinet Association ClarinetFest. Cavell’s second recording project, Dialogue, a recording of works by Schulhoff, Schickele, Lutoslawski and a new work by Amir Zaheri was released in Autumn 2014. Their first album, The Act of Collective Invention, was released to excellent reviews in 2012. He is also clarinetist in the Capstone Woodwind Quintet, the faculty quintet at the University of Alabama. They are committed to outreach efforts in the Alabama schools, evidenced by tours in the Tuscaloosa, Birmingham, Huntsville and greater-Atlanta regions. In Spring 2014 Dr. Molina traveled to Havana, Cuba for the fourth time under the auspices of the College of Arts and Science’s Alabama in Cuba Initiative. He gave a master class at the Instituto Superior de Arte, the Cuban national conservatory. In addition to his Alabama teaching duties, Dr. Molina will enter his fifth season as Clarinet Mentor at the Hot Springs Music Festival, Hot Springs, Arkansas in 2018. Dr. Molina holds degrees from Michigan State University (DMA), Yale School of Music (MM), and Rutgers University (BM), where he studied with Dr. Elsa Ludewig-Verdehr, David Shifrin, Charles Neidich, Ayako Oshima and Dr. William Berz. Osiris has been active in music education at all levels. He teaches applied clarinet, chamber music and clarinet methods in the Music Education curriculum. Dr. Molina is a D'Addario Reeds Artist and a Selmer-Paris Artist/Clinician. He performs on the Recital A/Bb clarinet and the Privilege Bass Clarinet. Jorge Montilla is internationally considered one of the best clarinetists in Latin-America. Former Principal Clarinet of the Simon Bolivar Symphony Orchestra, Montilla has appeared as soloist with the most important Venezuelan orchestras, the Indiana University Chamber Orchestra, the Vale Veneto Festival Orchestra in Brazil, the Youth Orchestra of Peru, the Longwood Symphony Orchestra, the Nuevo Mundo Festival Orchestra, the Ecuador National Symphony Orchestra and the Longy School of Music Conservatory orchestra. He has given recitals in important halls of Venezuela as well as in the USA, Martinique, France, Puerto Rico, Colombia, Costa Rica, Czech Republic, China, Peru, Spain, Mexico, Italy and Brazil together with leading important soloists and chamber music groups. Jorge Montilla is Assistant Professor of Clarinet at the University of Iowa School of Music. He is also a columnist for the International Clarinet Association’s magazine “The Clarinet” and keeps a hectic international career as soloist and clinician. Kathleen Mulcahy is Director of Woodwinds and Assistant Professor of Clarinet at George Mason University. She performs regularly with the National Symphony and Kennedy Center Opera House Orchestras, and holds the position of principal clarinet with the Alexandria Symphony. Previously, Dr. Mulcahy was second and Eb clarinet with the Buffalo Philharmonic and Grant Park Orchestras, and instructor of clarinet at the State University of New York at Fredonia. Dr. Mulcahy is an RYT 200 certified yoga instructor, and presents workshops and classes for musicians on the topics of body awareness, mindfulness, performance anxiety, and stress management. She holds the DMA and BM degrees from The Ohio State University and the MM degree and Performer’s Certificate from the Eastman School of Music. Her principal teachers have included James Pyne, Peter Hadcock, and Kenneth Grant. Kathleen Mulcahy is a Buffet Group USA performing artist. Bryce Newcomer is an established clarinetist, music theorist, and educator. As an advocate of new music, he has worked with several young composers, and has premiered numerous works. Established in 2014, Bryce is a founding member of the Westchester Duo, a contemporary chamber group in collaboration with saxophonist Jessica Tucker. Bryce currently studies under the tutelage of Ronald Aufmann of the Cincinnati Symphony. Previous teachers include Deb Fabian, Andy Crisanti, John Scott, and John De La Paz. As a theorist, Bryce’s primary research interests include rhythm and meter, semiotics, performance analysis, and pedagogy. A chief focus of Bryce’s work is contributing new theoretical understandings to significant clarinet repertoire. Originally from Las Cruces, New Mexico, Bryce graduated in 2017 from the University of North Texas with a double bachelor’s degree in performance and music theory. He began graduate studies at the Cincinnati College-Conservatory of Music in the fall of 2017. Christopher Nichols serves as Assistant Professor of Clarinet at the University of Delaware. He regularly performs with orchestras through the Mid-Atlantic region and is a member of Christiana Winds and New Music Delaware. He has regularly appeared with the Serafin String Quartet and has collaborated in chamber music with members of the New York Philharmonic, Philadelphia Orchestra, Detroit Symphony Orchestra and Baltimore Symphony Orchestra. Dr. Nichols performs exclusively on Légère Signature Series reeds, Silverstein ligatures, Rice Clarinet Works barrels and Buffet R13 clarinets. Dr. Darren Pettit is the Assistant Professor of Music Theory and Composition at the University of Nebraska-Omaha. Hereceived his bachelor of music degree in saxophone performance from the University of Nebraska at Omaha in 1995. He then received a full scholarship to the University of Cincinnati College Conservatory of Music where he completed a master of music degree in saxophone performance. He then received his D.M.A in Jazz Studies/Composition at the University of Nebraska-Lincoln where he studied with Dr. Eric Richards. Dr. Pettit has premiered original compositions at the Daidogei Festival in Shizouka, Japan, the Beijing Contemporary Music Academy, the U.S. Embassy in Beijing, the Shanghai Conservatory of Music, the Pennsylvania Music Educators Association Regional Conference, the North American Saxophone Alliance Regional and National Conference, the University of Missouri-St. Louis, Mercer University in Georgia, and the University of Nebraska-Lincoln & Omaha. Dr. Pettit is a D’Addario Artist/Clinician. Jeremy Ruth is a freelance clarinetist in the Phoenix area and a doctoral candidate at Arizona State University. As an educator, Jeremy teaches clarinet and saxophone lessons, in addition to having worked as a teaching assistant in the Musicology department at ASU. 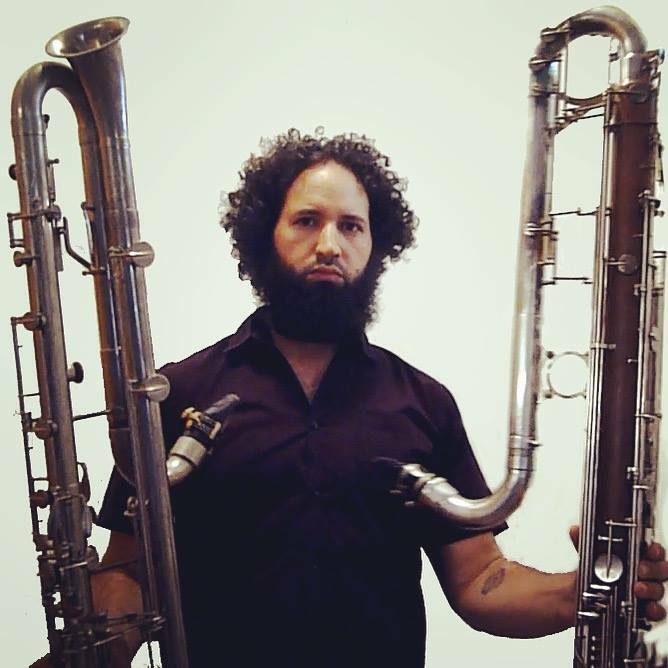 His performance interests are wide-ranging, but he has a particular interest in contemporary music, performance art, and exploring new extended techniques for the clarinet. He also recently had his pedagogical paper, “The Contrabass Clarinet: Pedagogical and Performance Solutions,” accepted for publication by the NACWPI Journal in the Fall 2018 issue. 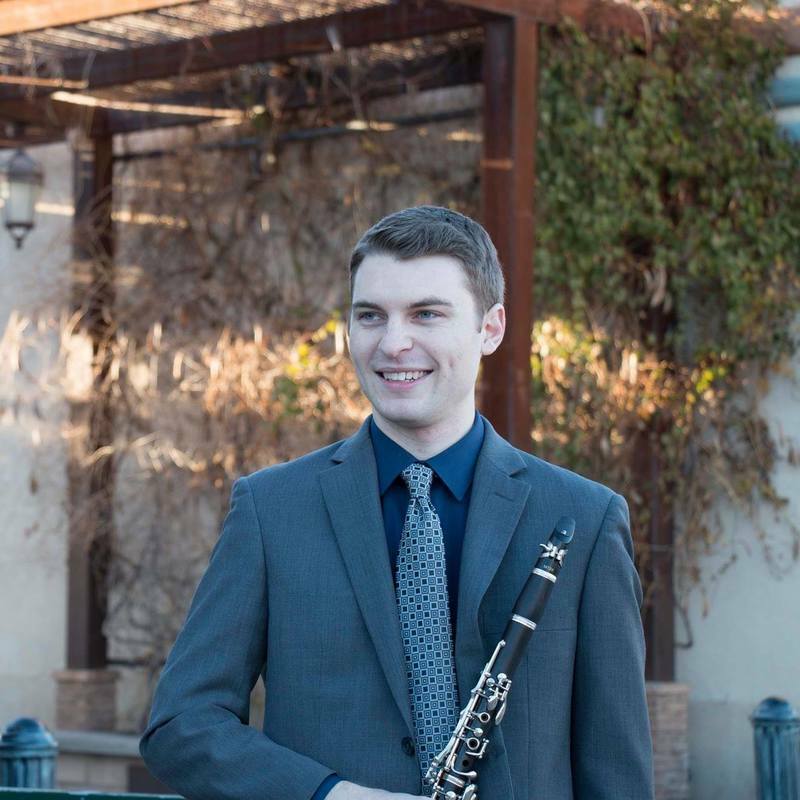 As a founding member of The Ambassador Trio, Jeremy has performed recitals at ASU and as a guest artist at other universities, in addition to being invited to premiere new works at national and international conferences, such as the International Clarinet Association’s annual ClarinetFest in 2017 and 2018, and The NACWPI Conference in 2018. He has performed as a soloist with both the Boise State University Orchestra and with the Arizona State University Wind Ensemble. His former teachers include Robert Spring and Joshua Gardner at Arizona State University, and Leslie Moreau at Boise State University. António Saiote studied clarinet in the Lisbon National Conservatory in professor Marcos Romão dos Reis’ class. Then, as grant holder of the Gulbenkian Fondation he studied in Paris with Guy Deplus and Jacques Lancelot. In Munich he got the Meisterdiplom of the Hochschule with Gerd Starke. In Spain he specialized in the direction of XXth century music in the Alcala University of Henares with Arturo Tamayo. He also did seminaries with George Hurst in Canford, in England. He was the winner of the Karol Kurpinski competition (Poland), the first prize of the Arts et Idées competition and of the Nouvelles Valeurs de la Culture competition. He was a soloist and an invited musician in various orchestras and chamber groups. Currently, he is the director of the Portuguese Clarinet Ensemble. He played chamber music in duo with pianist Pedro Burmester. He has made worldwide creations of Portuguese and foreign composers. Luciano Berio, Luciano Pavarotti, Klaus Thunemann and Karl Leister among others have publicly expressed him their admiration. He was also a chief assistant of the Inter-Regional Orchestra in Bad-Wuttenberg with the chief Nicolas Pasquet. He has already directed the Symphonic Orchestra for young people, the Invicta Orchestra, the Porto National Orchestra, the Portuguese Symphonic Orchestra, the ESMAE and the Philharmonic of the Beiras. The review has seen in him the «evidence that an excellent clarinetist can also be an excellent conductor. ». He gave Master classes in Germany, Brasil, Chili, Poland, France, China, Macao, Belgium, Hungary, India and Spain. 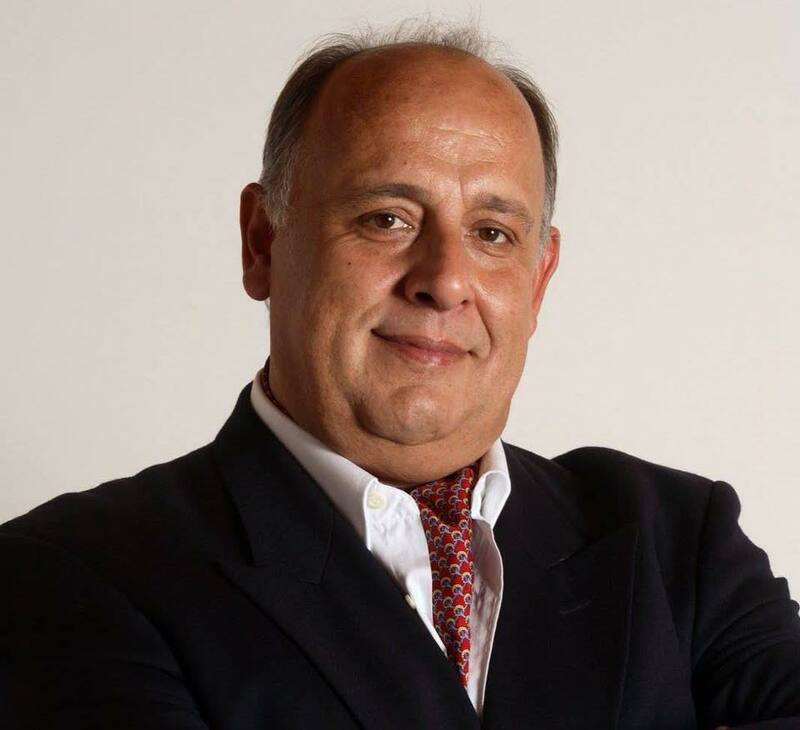 He was the president of the board of examiners of the competitions of Setubal, Gaia, Valentino Bucchi Prize (Roma) and a member of the board of examiners of the Oktav Poppa, Toulon and Seville competition. He is the director of the clarinet course at ESMAE. He is also the president of the Portuguese Clarinet Association and the artistic director of the Porto Soloists. His concerts in Argentina, Brasil, Chili, Belgium, France, Germany, England, China, India, USA, etc. were followed by enthusiast reviews. Besides his activity as soloist, he takes part of the Porto Academic Orchestra. Justin Sales is a master’s student of Dr. Eric Nestler at the University of North Texas. He studied with Dr. Preston Duncan at the University of Minnesota, and is a former student of Dr. Eugene Rousseau prior to his retirement in 2015. Dr. Rousseau described Justin as “[…] a brilliant performer who possesses a great work ethic. 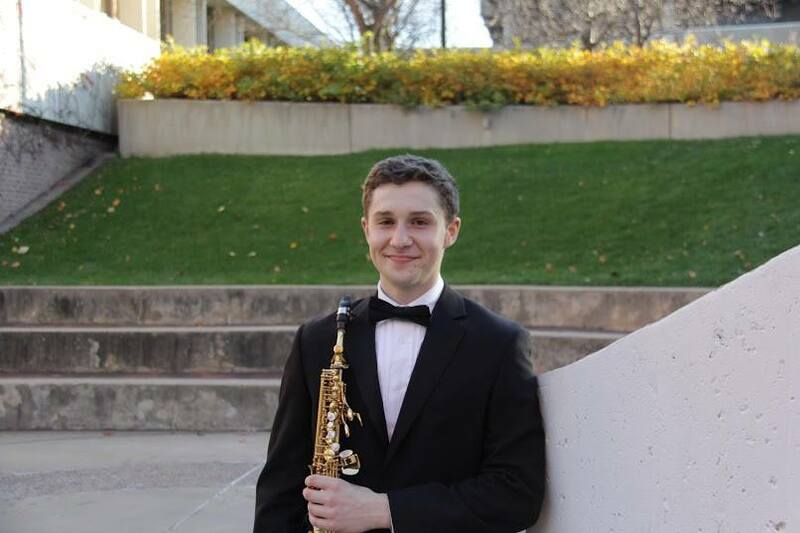 His future is bright.” As a member of the University of Minnesota Saxophone Quartet, Justin performed with the University of Minnesota Campus Orchestra, at the 2015 NASA Conference at Drake University, and was a Regional Finalist at the 2015 MTNA Chamber Music Competition. As a solo performer, he was awarded Outstanding Soloist at the 2012 Minnesota Youth in Music Competition, and was a prize winner in the 2016 Thursday Musical Young Artist Scholarship Competition. Justin was also awarded the Thelma Hunter Scholarship at the 2016 Schubert Club Competition—an award given to students that demonstrate the most “promise and potential” as performers. He is an internationally recognized musician, and was the winner of the 2017 IX Concurso Panamericano de Saxofón. In addition to pursuing his doctorate in saxophone performance, Sales endeavors to further advance the instrument’s repertoire by creating and commissioning new and innovative works for the saxophone. Elisabeth Stimpert is a founding member of the critically-acclaimed new-music ensemble Alarm Will Sound (www.alarmwillsound.com). She has performed across the country and internationally at major venues in New York, Philadelphia, St. Louis, Cleveland, Los Angeles, San Francisco, Los Angeles, Denver, Moscow, St. Petersburg, Amsterdam, South Korea and Germany. Elisabeth works regularly with many of today’s leading and emerging composers, having presented world premieres of works by John Adams, Steve Reich, John Luther Adams, David Lang, Wolfgang Rihm, Michael Gordon, Augusta Read Thomas, Carl Schimmel, Donnacha Dennehy, Stefan Freund, Robert Pound, John Orfe, David E. Chávez, and many others. A dedicated collegiate music educator, Dr. Stimpert serves as Assistant Professor of Clarinet at the University of Central Missouri where she teaches applied clarinet, aural training, woodwind methods, and woodwind literature and pedagogy. Recent chamber music collaborations include Rivet Duo with Erik Forst (percussion), improvisatory electroacoustic music with Jeff Kaiser (electronics), and faculty wind quintet performances at the University of Central Missouri and Dickinson College. 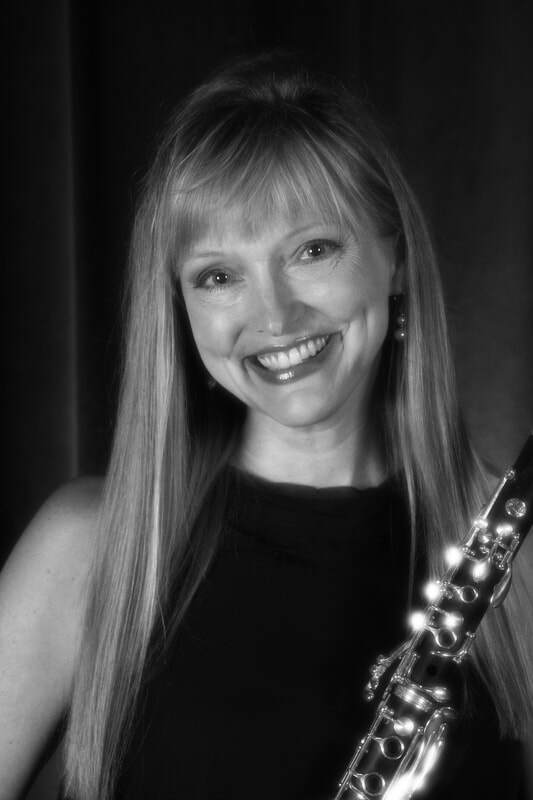 She holds a bachelor’s degree in clarinet performance and music theory from The Ohio State University, a master’s degree in clarinet performance and music education from the Eastman School of Music and a doctorate in clarinet performance from Shenandoah University. ​Saxophonist Matthew Tracy is a dynamic performer and teacher, who has received acclaim for his innovative interpretations and pedagogy. He was awarded the Doctor of Musical Arts degree in Saxophone Performance from Michigan State University, serving as a teaching assistant to world renowned saxophonist Joseph Lulloff. Additionally, he has appeared as a guest artist and clinician in high schools and universities across the United States. An accomplished chamber musician, Tracy has won awards in the Fischoff, Plowman, Coleman, MTNA and North American Saxophone Alliance chamber music competitions. He was recently featured at the US Navy Band Saxophone Symposium and the NASA Region IV conference. Eric Troiano joined the faculty of the University of Arkansas in the fall of 2016. He maintains an active teaching and performing career as a soloist and chamber musician. He has been a guest artist at numerous places including Ithaca College, Central Michigan University, Oakland University, Southwestern Oklahoma State University, Interlochen Center for the Arts, and many other high schools around Arkansas, Oklahoma, Michigan, and New York. As a member of the Viridian Saxophone Quartet, he performs regularly across the country. The Viridian Quartet has won top prizes in North American Saxophone Alliance Quartet Competition, the Fischoff Chamber Music Competition, Coleman Chamber Music Competition, and the MTNA Chamber Music Competition. An advocate for new music, Dr. Troiano has premiered and commissioned many new pieces for the saxophone and saxophone quartet, including pieces by composers Andrew Francis, Peter Golub, Justin Rito, Curtis Smith, among others. As an accomplished baritone saxophonist, Dr. Troiano has pioneered many solo and chamber works for the instrument. He is in the process of creating a pedagogical method for the baritone saxophone that utilizes the work of J.S. Bach to teach techniques of playing the instrument. 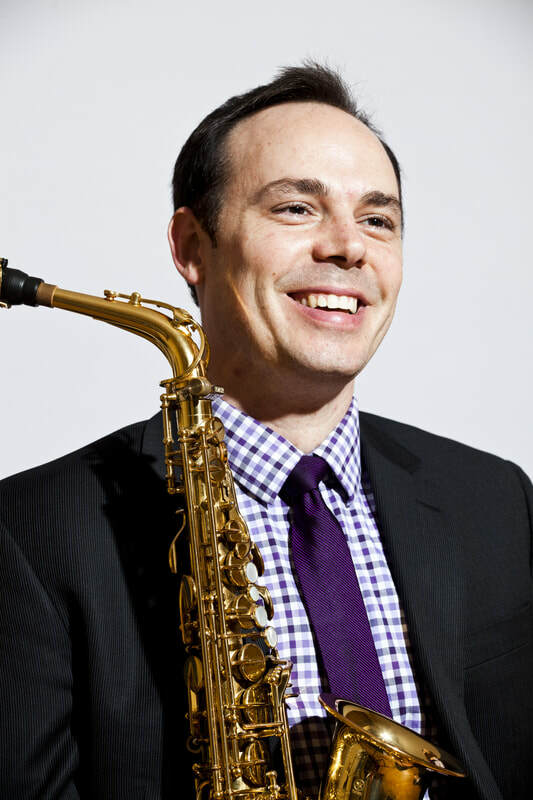 A native of Connecticut, Dr. Troiano received a bachelor of music in music education and saxophone performance from Ithaca College, a master of music and DMA in saxophone performance from Michigan State University. His primary teachers include Joseph Lulloff and Steven Mauk. Dr. Troiano is a Selmer endorsing artist. The UMKC Saxophone Ensemble is comprised of students of Zach Shemon from all degree levels at the University of Missouri-Kansas City. 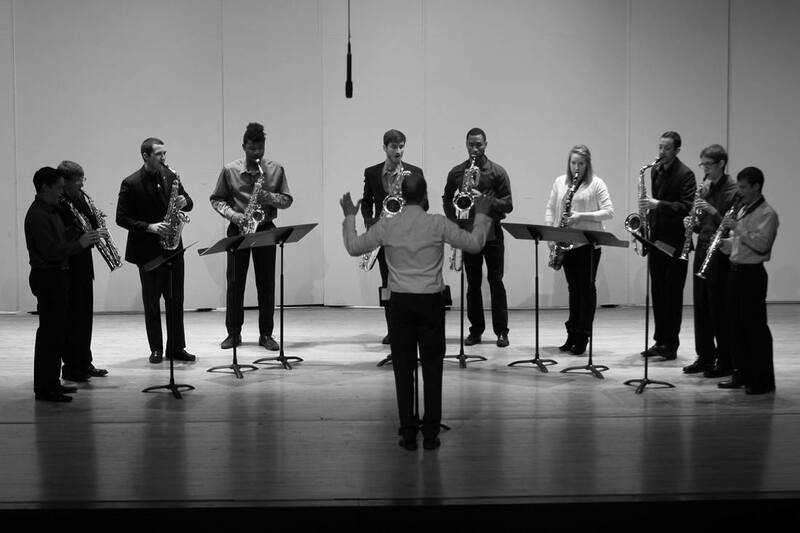 The ensemble, directed by Dylan Ward, is entirely student-led, and its members have been active in commissioning new works and creating new arrangements for saxophone ensemble. In addition to performing regularly at UMKC and the wider Kansas City community, the ensemble has presented at regional and national NASA conferences, and will perform at the 2019 Missouri Music Educators Association Conference. American clarinetist Wesley Warnhoff’s “thoughtful, effortless, and intense” performance style has gained him international acclaim as a soloist, orchestral, and chamber musician. Dr. Warnhoff is currently serving as Assistant Teaching Professor of Clarinet at the University of Missouri. Warnhoff is also the principal clarinet of the Battle Creek Symphony Orchestra in Michigan, a post he has held since 2010. Dr. Warnhoff holds his degrees in higher education from Michigan State University, where he earned his DMA and MM, and Missouri State University where he earned his BM. His primary teachers include Dr. Elsa Ludewig-Verdehr, Dr. Allison Storochuk, and Dr. Jack Scheurer. Based in Kansas City, the Xiphias Trio is committed to community building through high quality chamber music performance. The group is comprised of three friends who adore eastern European music, artisan cocktails, various species of gamefish, and making great music together. Larkin (clarinet), Erik (violin), and Bridget (piano) are active performers and teachers in Kansas City and can be heard performing in a variety of settings for organizations such as the Redux Society, Classical Revolution KC, Vinyl Renaissance, Midwest Chamber Ensemble, the Taneycomo Festival Orchestra, and more. Dr. Larkin Sanders is a native of Branson, Missouri and currently lives in Kansas City, Missouri where she works as the Director of Marketing and Community Engagement for the Friends of Chamber Music, is the Secretary of the American Single Reed Summit, maintains a private clarinet studio, and performs with Xiphias Trio and other various ensembles. Most notably, Larkin is the founder, executive-artistic director, and a clarinetist of the Taneycomo Festival Orchestra, a summer music festival in Branson, Missouri. Dr. Sanders is also a Woodwind Method Clinician for D'Addario Woodwinds, for which she frequently gives masterclasses and lectures. She is also a Selmer Paris Artist and performs on Selmer Présence clarinets in addition to D'Addario Reserve mouthpieces and Reserve Classic reeds. Bridget Clonts is an active pianist and teacher from Kansas City. Having grown up near St. Louis, MO, she took an interest in piano from an early age and in high school furthered her studied with Dr. Jennifer Lim-Judd, consistently winning at major regional competitions, including the St. Louis Ragtime Competition, Missouri Western State University Piano Competition, Fite Family Piano Competition, and the Missouri Southern International Piano Competition Honors Audition, among others. Bridget has maintained an active performing career, and recently performed with members of the Kansas City Symphony and Wichita Symphony Orchestras. As a collaborative artist, she performed on the regular concert series sponsored by the Midwest Chamber Ensemble during the 2013-14 season. In Spring 2014, she performed with her duo partner, flutist Philip Greenwood, at the acclaimed Marigny Opera House in New Orleans. Erik Hassell is a free-lance violinist in Kansas City where he performs with other local musicians and teaches all ages of violin and viola students. He earned his Bachelor’s and Master’s degrees from Mizzou while studying with Eva Szekely. Since moving back to KC, he has become a member of the Springfield Symphony Orchestra (MO) where he is Assistant Principal Second Violin and the Topeka Symphony Orchestra as a first violin member. He also performs with the Midwest Chamber Ensemble and Classical Revolution in KC as well as the Missouri Symphony Orchestra and Odyssey Chamber Ensemble in Columbia. Ali Wright serves on faculty at the University of Wisconsin-Eau Claire, having previously taught at the University of Central Missouri. As soloist he has performed with the Thaliand Philharmonic Orchestra (as finalist in the 5th Jean Marie Londeix International Saxophone Competition), the Mid America Freedom Band, Thallein Contemporary Ensemble and several school ensembles. Recently, he has performed with the Kansas City Symphony Orchestra, Sioux City Symphony Orchestra, newEar Contemporary Ensemble, and at the Open Spaces KC festival. He holds performance degrees from the University of Missouri Kansas City, University of North Carolina School of the Arts, and the Royal Birmingham Conservatoire. He is a Conn-Selmer endorsing artist, and can be heard on Dasch Quartet's CD, "Necessary Edges" and as saxophone soloist on "The Evening Choir" released on the Convivium Records label. Elizabeth Adcock, classical guitarist, is originally from Santa Barbara, California where she studied with Turan Mirza-Kamal and received a Bachelor of Arts degree in music composition from the University of California - Santa Barbara. She studied guitar with Alberto Ponce at the Ecole Normale de Musique in Paris, France earning the Brevet d'Examens and the Vevey Conservatory of Music in Switzerland and participated in master classes in Spain and Paris with Narciso Yepes and Bozeman, Montana with Christopher Parkening and has performed as part of the annual master class series with the Kreutzer Trio (flute, clarinet and guitar). 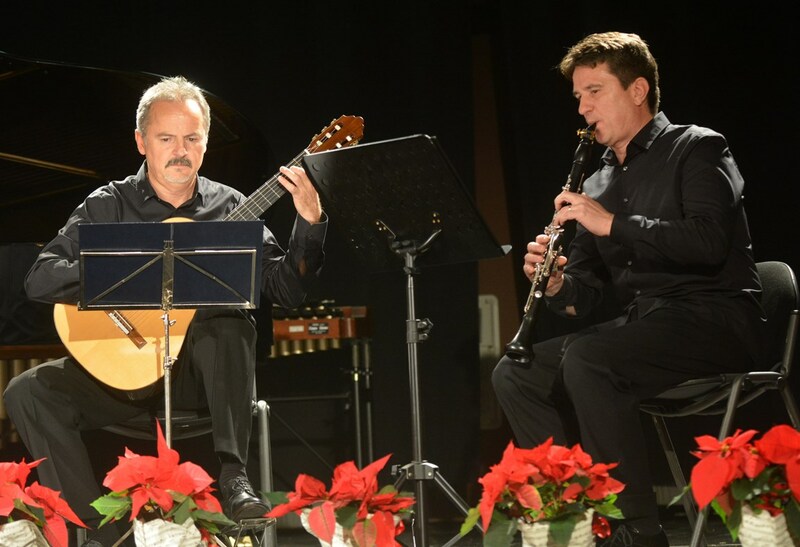 This ensemble participated in a 5-city concert tour in Brazil sponsored by the U.S. Department of State. Elizabeth performs regularly with the Yellowstone Chamber Players in Billings, Montana, has appeared as soloist with the Santa Barbara Chamber Orchestra and the Montecito Festival Chamber Orchestra in California and has been a guest performer for the Red Lodge Music Festival in Montana. Elizabeth is an accomplished bagpiper and was a featured soloist with the Billings Symphony performing Peter Maxwell Davies, An Orkney Wedding, with Sunrise. Elizabeth has taught on the faculty of Montana State University- Billings for 17 years, and maintains a private studio. 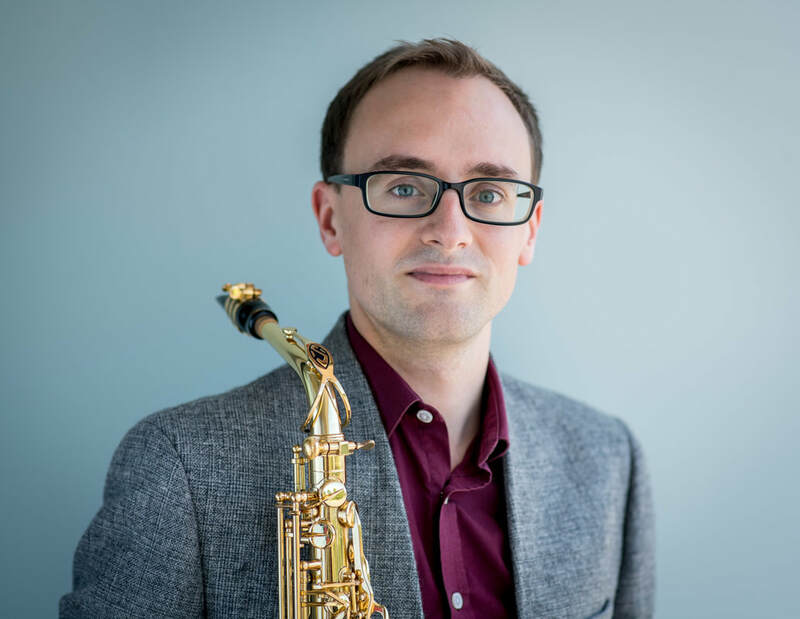 Scott Jeppesen is currently an Assistant Professor of Music at Montana State University Billings teaching Music Theory, Ear Training, Music History, Jazz Combo, and private lessons on saxophone, clarinet, and flute. Scott is an alumni of the University of Southern California where he earned Bachelor of Music (BM), Master of Music (MM), and Doctor of Musical Arts (DMA) degrees in Jazz Studies. Prior to accepting the position at MSUB, Scott lived in Los Angeles for seventeen years. In that time, he performed with Maria Schneider, Bobby McFerrin, Burt Bacharach, Lalo Schifrin, Alan Pasqua, Bill Watrous, Shelly Berg, Manhattan Transfer, Stevie Wonder, Nancy Wilson, Artie Shaw, Bob Mintzer, Dave Brubeck, Natalie Cole, Louis Bellson, Al Jarreau, Steve Miller, Randy Brecker and James Moody…just to name a few. Scott has composed and arranged for many different artists including Steve Miller, Ramsey Lewis, Natalie Cole, Ruben Studdard, Dave Koz, Ledisi, Burt Bacharach, Monica Mancini, Scott Martin, and the PBS Tribute to Ella Fitzgerald, which aired in the spring of 2007. In 2009, he cofounded Cultivating Creative Minds along with his wife, Roxanne, which provides arts instruction to elementary school aged students throughout Santa Clarita, CA. Sheri L. Rolf, MD, DMA, FACS received her Bachelor of Music in Applied Clarinet from the University of Louisville, then opted for a career in medicine. Following graduation from the University of Louisville School of Medicine, she completed her post-graduate training in Otolaryngology-Head and Neck Surgery at The Ohio State University. Dr. Rolf received her MM in clarinet performance from the University of Montana, and her DMA in clarinet performance from The Ohio State University. Winner of the Festival Music Society of Indiana’s Five State Instrumental Virtuoso Competition, Dr. Rolf has been featured as soloist with the University of Louisville Orchestra, the Sewanee Festival Orchestra, and the Cologne Chamber Orchestra. She has performed in Alice Tully Hall, the Taiwan Center for the Performing Arts, and Dvorak Hall in Prague. Her presentations on musicians’ wellness and anatomy have been popular features at both ICA ClarinetFests and regional clarinet festivals. Sheri currently plays in the Great Falls (MT) Symphony, and the World Civic Orchestra, and is an artist member of the Yellowstone Chamber Players. Her principal teachers include James Livingston, Richard Waller, Maxine Ramey, Eli Eban, and Caroline Hartig. Rebekah Reger debuted her professional music career in September of 2003 with the Billings Symphony Orchestra. She began playing with the Rimrock Opera Company in spring of 2004. Rebekah earned her BA in Music in 2007 from Montana State University Billings while earning her tenureship with the BSO. She actively still plays with both the BSO and the ROC. Rebekah is the Assistant Director of the Academic Support Center at MSU Billings. She is married with three young children and is completing her Masters in Education this summer. Some musical accomplishments include receiving gold recognition at the CMENC music competitions in Los Angeles, CA (2004) and in New Orleans, LA (2005) and awarded "Outstanding Soloist" in New Orleans. Yocona Reeds is a single reed duo based at The University of Mississippi, featuring Adam Estes on saxophone and Michael Rowlett on clarinet. It is focused on exploring a wide variety of innovative works for all the members of these two instrument families. Estes and Rowlett have been performing together since 2013 and have toured around the state of Mississippi and across the Southeast, including guest artist appearances in Missouri, Arkansas, and Alabama. Adam Estes is assistant professor of music at the University of Mississippi, where he teaches saxophone and bassoon, coaches woodwind chamber ensembles, and teaches woodwinds methods courses. Most recently, he was assistant professor at Minot State University. Formerly a band director in the public schools in Mason, Texas, Estes has also held posts as visiting professor of saxophone at Furman University and the University of South Carolina, as well as instructorships at Presbyterian College and the South Carolina Governors School for the Arts and Humanities. He is a founding member of the Assembly Quartet, and maintains an active performance schedule as a soloist, chamber musician, and orchestral musician. His performing career has taken him to venues in Scotland, Ireland, Austria, Switzerland, France, and Belgium. Dr. Estes is a Yamaha Performing Artist and has recorded on Albany Records, MSR Classics, and AMP Recordings. Michael Rowlett is Associate Professor of Clarinet and Music Literature at The University of Mississippi, where he has taught since 2002. An active recitalist, he has appeared across the southeast, including tours to Alabama, Arkansas, Missouri and North Carolina, and has performed at many national and international conferences, including those of the International Clarinet Association, the National Flute Association, the International Double Reed Society and the College Music Society. His first CD, “Close to Home,” was released by Albany Records in 2012, featuring music of twentieth and twenty-first century American composers. He was recently invited to perform William Bolcom's Concerto as a featured alumni soloist with The University of North Carolina Symphony Orchestra, and previously has been featured as a concerto soloist with the Germantown (TN) Symphony Orchestra and the Durham (NC) Symphony Orchestra. He has also appeared regularly with the Memphis Symphony, the North Mississippi Symphony and the Louisiana Philharmonic Orchestras. Rowlett holds a D.M. in clarinet performance from The Florida State University, a Masters from The University of Iowa, and a Bachelor’s degree from The University of North Carolina at Chapel Hill. His teachers include Frank Kowalsky, Maurita Murphy Marx, Freddy Arteel and Donald Oehler.